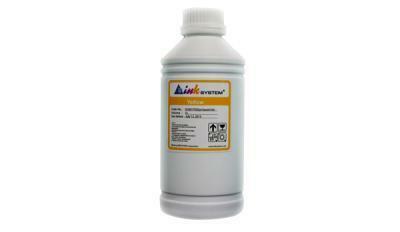 Ecosolvent ink -ink which can be used for outdoor advertising, and for use indoors and interior design. Inks have expanded color gamut, making it possible to reproduce even the most "difficult" colors, and good adhesion characteristics and allow for printing on a wide range of materials. Specially designed for plotters, Epson, Mutoh, Mimaki, Roland, Arizona, Creon, Fresco, Salsa Ultima, GrandJet V3, Xljet, Rex-62, Lammiless, UlatraVu, PressVU and its physical and chemical properties of ink INKSYSTEM not inferior to the original. Due to the unique composition of the ink non-combustible, do not form a precipitate upon prolonged storage and non-toxic by inhalation of vapors. Guarantee the stability of prints to the external environment is at least 3 years. In addition, the cleaning liquid is supplied to the printheads and UV varnishes.